Shortly after the third edition of Leaves of Grass was published, in 1860, Walt Whitman seemed to drop off the literary map, not to emerge again until his brother George was wounded at Fredericksburg two and a half years later. 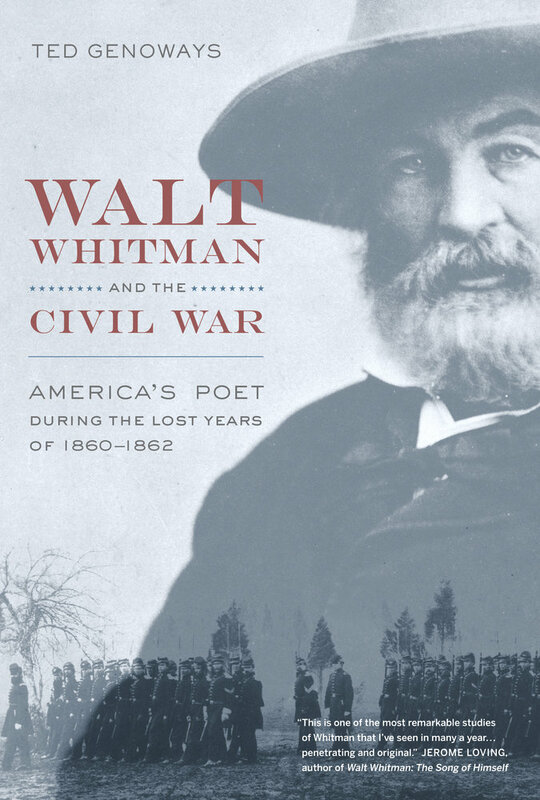 Past critics have tended to read this silence as evidence of Whitman's indifference to the Civil War during its critical early months. In this penetrating, original, and beautifully written book, Ted Genoways reconstructs those forgotten years—locating Whitman directly through unpublished letters and never-before-seen manuscripts, as well as mapping his associations through rare period newspapers and magazines in which he published. Genoways's account fills a major gap in Whitman's biography and debunks the myth that Whitman was unaffected by the country's march to war. Instead, Walt Whitman and the Civil War reveals the poet's active participation in the early Civil War period and elucidates his shock at the horrors of war months before his legendary journey to Fredericksburg, correcting in part the poet's famous assertion that the "real war will never get in the books." Ted Genoways is the editor of Walt Whitman: The Correspondence, Volume VII and the series editor of the correspondence for the online Walt Whitman Archive. He is also the author of two volumes of poetry and the editor of the Virginia Quarterly Review.